The Chrek model Umod install is included with the Umod downloads of ChaosUT v1.1. Note: You MUST have the full ChaosUT Version 1.0 already installed to use this upgrade! The following file is a Umod for Server Admins. This file is included with the ChaosUT Version 1.1 UMOD downloads.The Umod properly installs the correct ServerPackages lines to the [Engine.GameEngine] section of the UnrealTournament.ini. These ServerPackages lines are only needed for those running CUT Version 1.1 Servers. After you run this Umod, any players that connect to your server will be required to have the CUT Version 1 mod. For manual installation of the ServerPackages lines or additional information about each CUT setting that can be set for servers, please see the Server Setup page of the CUT Documentation. 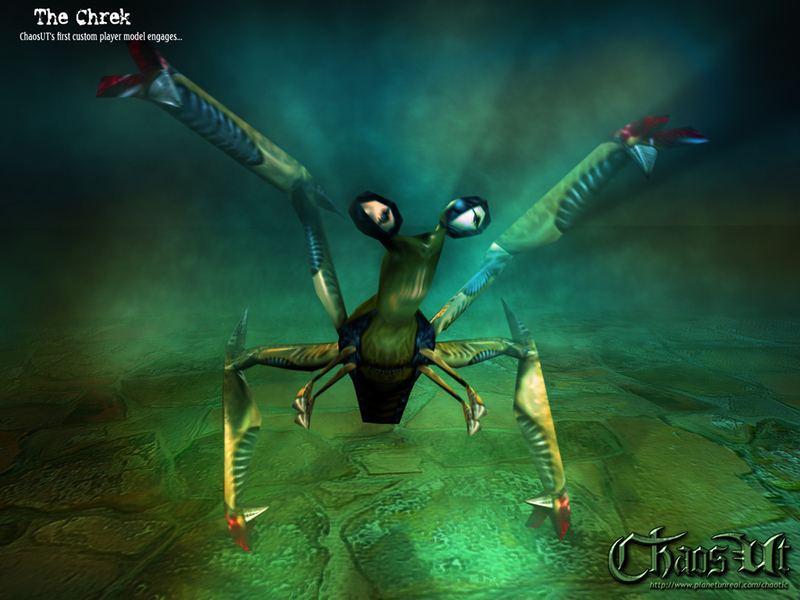 Chrek Player Model by Spa – Download (Atomic Gamer).